Along with the launch of NVIDIA’s TegraZone.com, we get a new Tegra-optimized game to check out called Sprinkle. 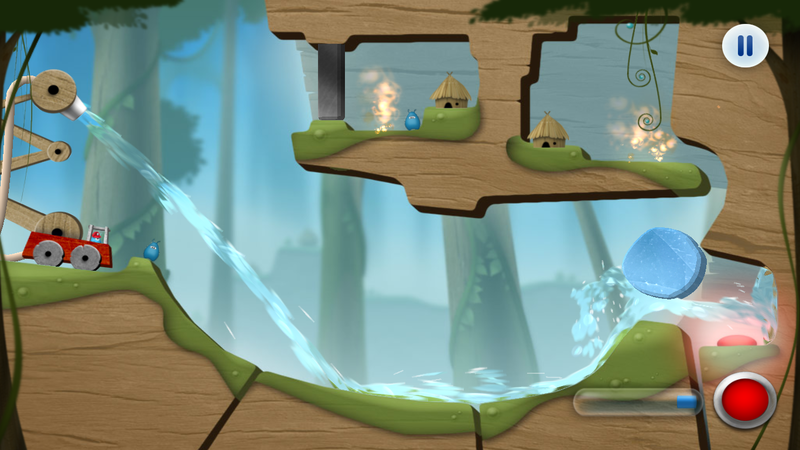 As a “water physics-based puzzler”, you’ll see some of the more polished graphics and water physics of any game on the market. The idea is simple – put out fires using an adjustable water cannon. Completing that task isn’t always so simple though, and requires you to reach back to your childhood fire hose days for inspiration. The game is available for $1.99 today in the market along with its 46 levels that can be unlocked by tapping 5 fingers on the screen. *Note – There will be a Kal-El-optimized version of Sprinkle once a device running that new processor has been made available.